Southern California is pure fun-in-the-sun. People love SoCal for its beaches, it’s weather and, of course, it’s attractions. 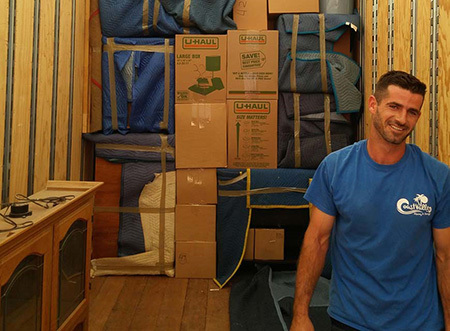 At Coast Valley Moving, we’ve been helping people move since 1972 – relocating homes, families, businesses and employees relocate all over the world. It’s iconic and magical and fun and exciting all packaged into one place in Anaheim. The beauty of Disneyland is that its essence has remained intact since 1955 when it was constructed. Today, in 2014, it still has the same allure and magic as it did all those years ago – and if you’re living in Southern California, you can experience it whenever you like. One of the greatest film studio theme parks in the world, Universal Studios Hollywood captures everything that makes the movies incredible and packages them conveniently for us in this expansive park that the whole family can enjoy! Anybody who loves Legos will be absolutely blown away by Legoland California Resort – another theme park that is absolutely perfect for the whole family to explore, discover and enjoy. Build, scour and search your way through a place that’s as deep as you want it to be. If you and your family is looking to move to or from Southern California dont hesitate to call Coast Valley Moving today. We are a professional and reliable mover offering residential, commercial and international moving services.